Back in Issue 46, I was enamored enough with VPI’s Classic One turntable to give it one of our Exceptional Value Awards for 2012. Even more, I purchased the review sample to make it a permanent reference, and after two years, the Classic One is my go to table, when I just want to hang out and listen to records without fuss. I enjoy it so much; it’s the only table in my home system. Due to increases in raw materials cost, VPI has had to raise the price of the Classic One from $2,695 to $2,995, yet it remains a stunning value – offering build quality and sheer musicality that has few, if any peers at it’s price. After two years of daily listening, the Classic One, and now the Classic Two feel more like a “greatest hits of analog” product, combining the virtues of a couple of my favorite turntables into one easy to use and easy to set up package. The sheer weight of its presentation reminds me of an idler wheel Garrard or a Thorens TD-124, without the rumble and noise issues. The Classic 2s overall warmth is highly reminiscent of a mid 80s LP-12, without a heavy dose of OCD to keep it running. The Classic Two’s overall aesthetic is no nonsense. With a simple, basic black plinth surrounded by either a black oak or walnut frame, and perched upon miniature versions of their HRX turntable’s feet, it is devoid of accouterments. The Classic Two eliminates all pretense and gets down to business playing records, with every penny invested in design and build quality. This is a table you will be able to leave your kids without worry. Inside the box is everything you need to get your Classic Two up and playing records right now. A classic Shure balance beam tracking force gauge and cartridge alignment protractor saves time and money, not to mention gets you about 95% of the way to perfect performance. For most, the enclosed tools will make you more than happy. Maniacal audiophiles willing to invest in a more precise tracking force scale and alignment protractor will be able to take the Classic Two to an even higher level of analog clarity. An adjustable VTA collar on the tonearm is what makes the Classic Two a Two. The Classic One has a fixed adjustment for setting VTA, while the Two lets you adjust VTA on the fly, like the rest of the tables higher up the VPI range. Though some swear by this, I’m still not one to set VTA on the fly. But what is exceptionally handy is the ability to use the fine vernier adjustment to not only set, but also easily re-set VTA adjustments. 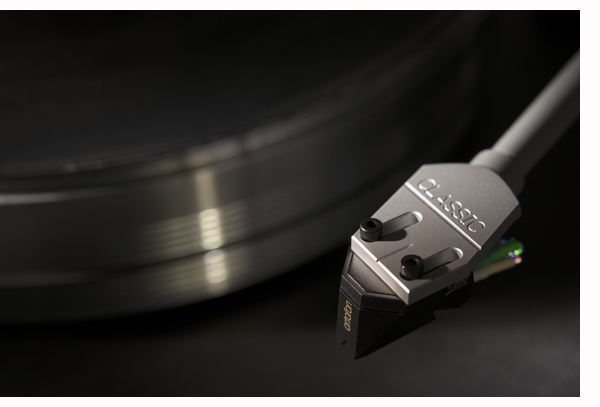 Those with multiple tonearm wands can now switch between cartridges with total ease and consistency. That’s the magic of the Classic Two and the reason you want to pony up the extra thousand dollars. I suggest music lovers that stick with one cartridge until it is spent and don’t fiddle with their turntables settings will be just as well served by the Classic One, and maybe spending that extra on a better cartridge, VPI’s SDS motor controller, or one of their outstanding record cleaning machines, if you don’t already have one. While some claim the Classic One sounds better because of its fixed VTA adjustment (possibly a touch more rigidity in the tonearm tower/bearing assembly) a side-by-side comparison of a Classic One and Classic Two with identical cartridges did not reveal an audible difference. For a full description of the Classic One’s sound, click here. But to summarize, both the Classic One and Two produce a big, weighty, full-bodied sound. Utilizing VPIs JMW-10.5i tonearm wand with copper internal wiring. Those seeking even more performance should ask their VPI dealer about upgrading the table to the 10.5i armwand with Nordost Valhalla internal wiring. Small details aside, the VPI Classic Two is one of the finest turntables available for $3,995. As with the Classic One, we are proud to award it one of our Exceptional Value Awards for 2015. Totally devoted to analog: vinyl, tape, and more.